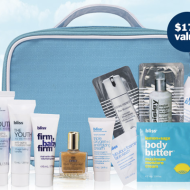 Lucky for us, Bliss Spa is offering a Free 12-Piece Gift Set when you spend $100 or more! This gift protects your skin during the last months of summer while getting it ready for fall – could this be more perfect?! 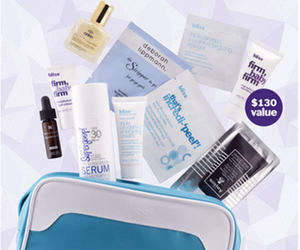 The “protect + correct” beauty bag includes deluxe samples of firming gel cream, supergoop! city sunscreen serum, nuxe dry oil and more. Just use the promo code below at checkout. 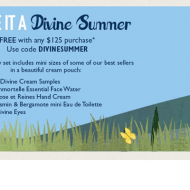 This offer is available until September 1st, or until supplies run out, so get your beauty bag before it’s too late!